This marvelous 6 CD box-set is deluxe! In this second volume, a SIXTH DISC is included with uncut session parts, an interesting listening! 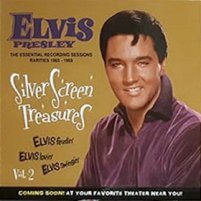 This release features mostly alternate versions from all of Elvis' movie sessions during 1965-1969. A fantastic release with a lot of surprises, in a fantastic sound and running order. Disc 5 contains mostly transfers directly from acetates, those were cut straight after or during the sessions, without any altering, mixing or overdubs. Tracks 13,14,19,23,27 & 28 are NOT sourced from an acetate.